We were over at my mother-in-law's house yesterday. The kids are undertaking a long, slow cleanup project to get their stuff out, and also to generally sift and winnow to get miscellaneous junk out. A worthy, and time consuming task. 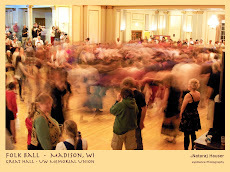 While I do not have any stuff there of my own, I help as I can here and there. I was looking at the spice rack and found that whatever she had, she had two or three of it. These were by far the most interesting discovery. Twenty-five cents? 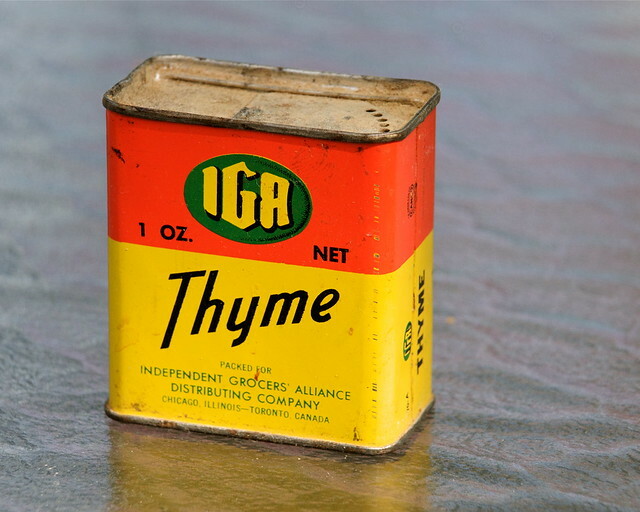 Just when did she buy that can of Allspice? I'm guessing it might not be fresh anymore. 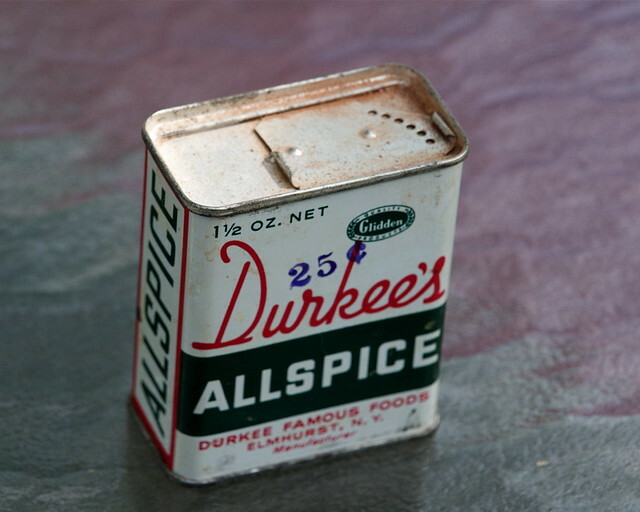 My mom's old can of Allspice looked just like that! When she'd emptied it, my father appropriated it for some little nuts or bolts down in his workshop. Pretty good smelling hardware.